CONTACT ME ANYTIME - VISITORS ARE WELCOME BY APPOINTMENT. AMERICAN AIRLINE PRIORITY PARCEL, DELTA, UNITED. COST OF SHIPPING DEPENDS ON THE AIRLINE. YOU CAN CONTACT ME FOR A QUOTE. NORMALLY $300 TO $400. I DO ALSO OFFER DELIVERY UP TO 2 HOURS AWAY OR TO MEET UP HALF WAY. YOU ARE ALWAYS WELCOME TO PICK UP PUPPY AT MY HOME AS WELL. Shipping is an additional fee unless I specify otherwise. Shipping includes everything your puppy will need for a safe and comfortable trip. 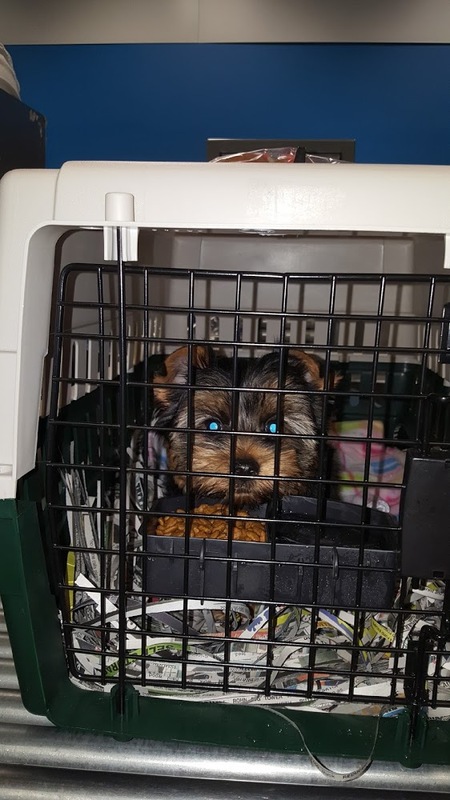 The puppy will be placed in an airline approved plastic crate with shredded paper to keep them clean and secure. 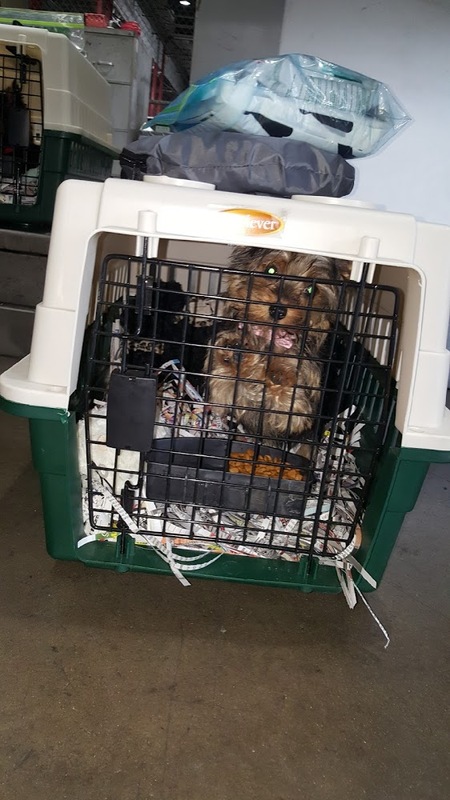 They will also have a blanket, food and water attached to inside of the crate, water tray will begin as ice to prevent spillage and the airline will refresh as needed. They will have a baggie taped to top of crate with puppy care package that includes food and other items. 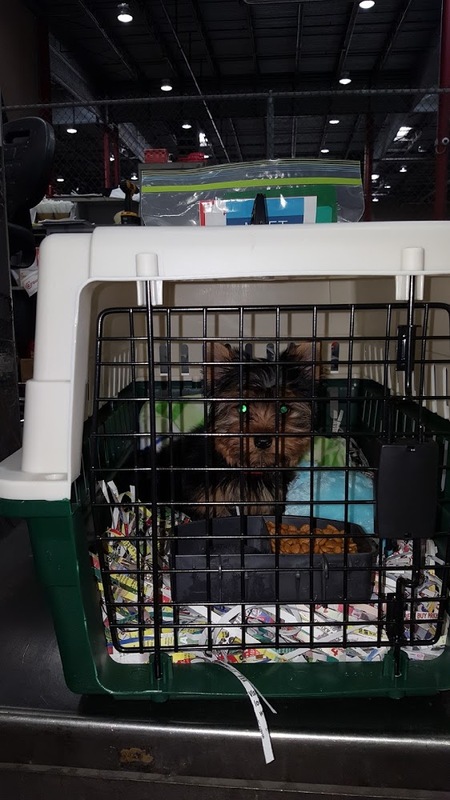 any paperwork, vet records, health certificate and vaccine history will be in an airline envelope attached to the top of crate usually with zip tie to handle or sealed clear package taped to top of crate. I will only ship when I feel it is completely safe for puppy and will find the best possible flight available. Once you decide on puppy and payment has been secured I will schedule the flight and get the puppy in for a health exam. As soon as I have flight confirmation I will forward it to you with detailed information. You will normally pick up at cargo facility or at a ticket counter. You will know before hand exactly where. Please make sure you have identification to claim puppy. I suggest arrive a little early but be prepared to wait. I recommend to bring a towel or wee pad and depending on the puppy’s size a harness and leash. I will give you exact instructions since they are all different, some I may say to give the Nutritional supplement that is included in care package and some are better to just offer food and water once you get back home. 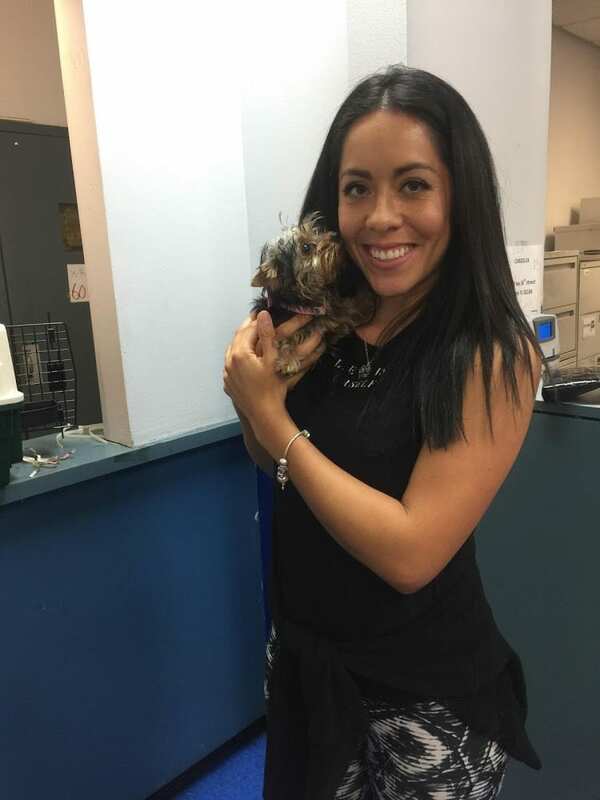 Please call me and let me know that Puppy has arrived safely and is in your care. Phone number cell 903-249-9360. Leave a message if I don’t answer. It is very important to gently introduce your baby to family members and her/his new environment. Provide some down time and allow your puppy to get acquainted with new faces and new places at his/her own speed. recharge and a lot of TLC. Providing access to food and water 24/7 is a must for your new puppy at first. Keep water and dry food out all the time in an area he can find it easily..
Energy is stored in the liver and tiny puppies have super tiny livers! Therefore, they need the opportunity to eat frequently in order to restore their energy and to prevent low blood sugar, (hypoglycemia). IF YOUR PUPPY DOES NOT EAT –CALL ME, CALL YOUR VET- PUPPY MUST EAT OR HYPOGLYCEMIA WILL OCCUR AND CAN RESULT IN DEATH. puppy arrives. This is a period of adjustment for the puppy and you will want to be with him to be sure he eats and to get a good start on house training. Remember, you can call me if you have any questions about your new puppy’s care. Please send pictures and updates on how your puppy is doing . I love to keep in touch.